Bring a unique award with an element of whimsy to your next event. 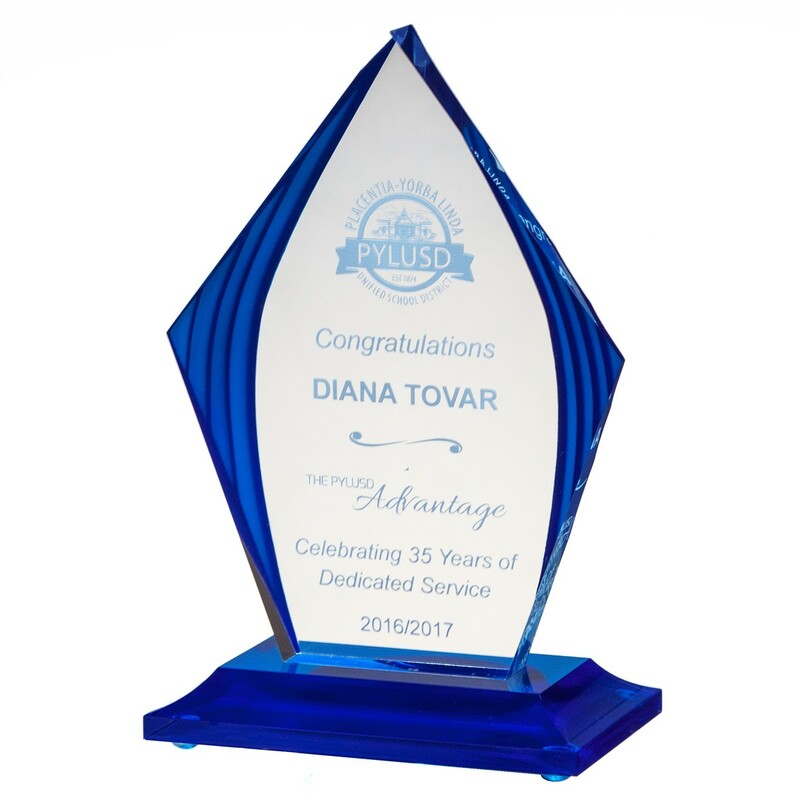 The Blue Ridged Edge Acrylic Trophy comes in three sizes, any of which would add to your ceremony. With a shape similar to a diamond, and grooved edges this trophy will inspire those receiving the award and those others to work harder, hopefully to receive one next time. With its blue color this award is the perfect addition to the desk, shelf, or mantle piece of every recipient.